Professional commercial clearance solutions - desks, filing cabinets, chairs, meeting tables and other office items. We can take care of any items you no longer need in your office - phones, computers, servers, TV's, screens and other ICT equipment. Get rid of items you do not need and enjoy more office space. Have you been forced to keep your clients files for a few years and now you are not obligated to keep them? Give us call! We offer secure document clearance services. Full office furniture clearance services. Office clearance is a process disposing office old equipment, unwanted files and documents as a means of decongesting an office space especially before or after the relocation process. Such a project is very beneficial in a number of ways. First, it makes moving easy and less money consuming. Secondly, it helps to decongest the office space which increases the safety of your employees and creates a pleasant working environment.. If you dispose items that you will no longer need in your new office, you will have a lot of spaces in the new premises. So, office clearing is a veritable mean of maximizing your new office space. Just like every step involved in office change, office clearance is a very tasking project that requires an expert handling - planning, furniture and equipment assessment, resell, recycling, disposal, logistic and transport related issues. If you are looking to clear your office of broken, old, used or simply unwanted furniture, items, equipment, computers, servers, files and documents, you should ensure the project is well planned so that you will not encounter any problems on the way. Besides, there are legal environmental requirements to be satisfied for such a project. This is why such a project requires careful planning and expert handling. Our experienced and professional London office clearance specialists and move management advisors will be happy to carry out a technical survey at your property. We will asses the state and value of your office equipment to be cleared and inform you what can be resold, taken to the scrap yard, recycled or simply disposed of. Any items that can be put and sold on the Internet used office furniture and equipment auctions will be photographed and described. We may also offer you our price for buying your unwanted office items. As a professional office clearance company London we will do everything to reduce your office furniture clearance costs. Please contact us today for a free quote. Here, you will learn about clearing an office. Read on to know more about it. Given the need to save energy and to prevent disposal of items that will cause damage to our ecosystem, there are now regulations for waste disposal especially those involving waste electronics and electronic equipment. This type of waste disposal is known as WEEE (waste electronics & electronic equipment) disposal. You should comply with the regulations otherwise you may face the wrath of the law. You demand for a waste transfer note from your London office clearance company. The waste transfer note should state all the electronic wastes, where they are obtained from, how many of them were recycled, reused or dumped to the landfill. As a rule of the thumb, you should hire only a license waste disposal specialist who knows the rule and is capable of carrying out the job in environmentally responsible way. Do	not	waste	your time and contact us to find out office clearance costs. We provide a free estimate. This is a crucial stage because it is at this stage that you decide the items to be moved with or put in the archive, those to be recycled or sold and those to be given out. You can see that it involves a lot of things. So, to ensure a successfully execution of the project, you have to start planning on time so that nothing important should be left out. It is advisable that you separate all the items you will dispose from those that you will relocate with. You can keep those to be disposed of in a room and the rest in one room. Separating the items in this manner will make it easy for the office clearance professionals to give you a quote. It will also help you to prepare an inventory of the items that you are relocating with and those to be recycled or disposed of. Deciding on what to keep Office clearance London provides you with the opportunity to decongest your office and keep only items that are useful to you. However, it may not be easy for you to decide on the items to keep and those to dispose. To help you determine the items to dispose, here are some of the factors to take into consideration. The style as well as the design of your new office: you should only move those articles of furniture and items that will suit the style and design of your office space or those that will bring out the beauty of your office space. Available space in your office: if you have much space in your new office, then you may move in with more items but if you have limited space, you should move in with only few items. Usefulness of the items: one of the factors that will determine the items you should dispose and those that you will move with is their usefulness to you. Those items that you rarely use or you don't use at all should be disposed of. You should only move with items that you use in the day to day running of your office. Here, you should seek the opinions of your staffs because they are the people that work with these items. The condition of the items: Check the condition of the items. Old items that are no longer useful or broken items should be disposed. The importance of the item: this concerns files and documents. Only files and documents that are very important to you should consider relocating with. You have to dispose of those that are not important or that do not contain information that is relevant to your business. Before you finally relocate or move your office, it is advisable that you dispose unwanted items. Already, you have packed them in one room. So, hire office clearance London to eliminate them for you. But as a rule of the thumb, you have to carry this out earlier before the date of your relocation. Disposing them earlier will make packing and removal of your office items easier for the office removal companies. As it is mentioned above, office clearance is a task that should be carried out by a professional because it is much more than throwing off unwanted material or recycling them. It has some legal requirements with regard to its impact on the environment. Professional office clearance business knows already what the law says about disposal of various types of materials. You should ensure that you hire a reliable, experience and reputable company that has the necessary expertise, equipment, labour force and knowledge to handle the project efficiently. There are a number of office clearance specialists. But as normal in life, they do not offer the same quality of service. So, you have to research the various options available to you. Take time to read their reviews in order to find out what their experiences are expertise are. When you have found out some reliable and experienced company, get quotes from more experienced and reliable ones. Normally, office clearance businesses give their final quotes based on the volume of items to be disposed. So, you should ask them to visit your office so that they will be able to issue you with the right quote. When you have received their final quotes, you can compare them before deciding which one gives you the best option. But you should ensure that there is no hidden charge in the quote before making your choice. Don't make the mistake of hiring a company without knowing their final price otherwise you run the risk of spending more money. We also provide factory and warehouse removals and clearance services. During the office clearance, all items are not trashed out. There are some items that may still be useful to other people even though you no longer require them. You have to sell these items off. You can solicit the help of the office clearance business that is handling the project for you. A good number of them have connection with second hand dealers as well as recycling organizations and charities that can buy them. You can also decide to sell them by yourself through auctions or online market place like eBay if you can. Alternatively, you can dash them out to your employees that may have a need for them. In this way, you will be appreciating to their effort towards the growth of your office. 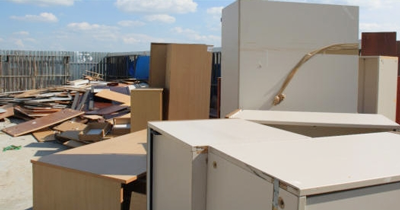 We can also recommend London building demolition companies that can help us with your office clearance and furniture disposal. Every business nowadays is making effort to cut cost. In the light of the above, there is the tendency of some businesses attempting to dispose their waste material by themselves. This is very risky and will not give you any advantage economically and even health wise. You may even end up spending much money. This is because you have to hire the equipment required for the disposal such as a skip. You will also pay for permits and parking. Since your staffs are not professionals, there is the risk of accidents occurring during the loading of the items in the skip. 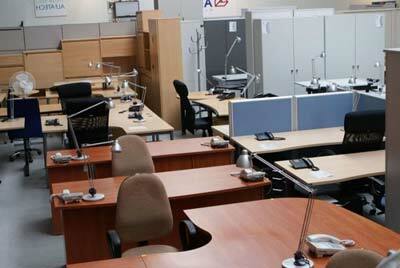 With office furniture clearance London you can get rid of your equipment at affordable rates, cheap and cost effective. When it is time for you to relocate your office and clear it of unwanted material, you should apply the above guide. With the above guide, the project will work out smoothly for your business. You will also be able to cut cost at the long run. Besides, the project will go smoothly if you are able to keep to the advice given above such as adequate planning and preparation for the project.